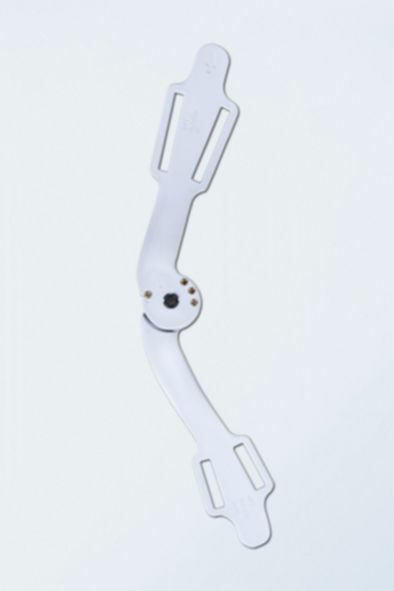 By adjusting the hinge, the flexion angle of the knee can be limited to 30°, 60° or 90°. The knee can also be prevented from stretching to its full extent by locking the hinge at 20°. These restrictions are designed to protect the knee and can be lifted in line with the progress of treatment. Together with two non elastic straps on the upper and lower leg, the joint splints provide secure support and relieve the collateral ligaments. The knee is guided during movement and its freedom of movement is kept within safe limits. Wearing this support can thus compensate for any mild to moderate instability, for example due to osteoarthritis of the knee, while providing optimum stability for ligaments weakened by arthritis. 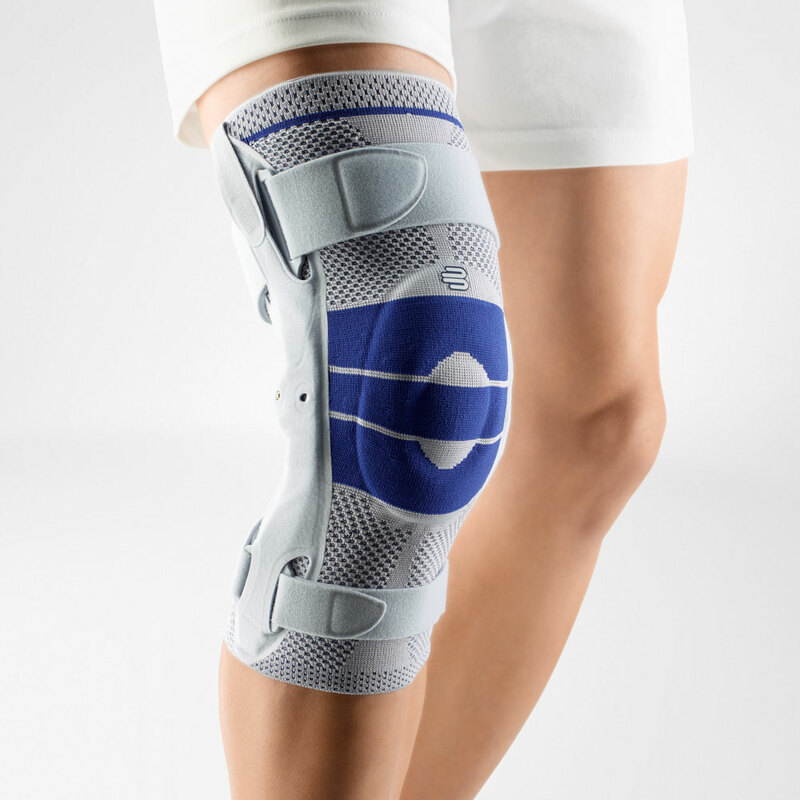 The integrated elastic pressure cushion (pad) wraps around the kneecap to protect it and helps to position the support correctly. During movement, a massage effect is generated by the distortion of the pad and the compressing knit, which activates the surrounding muscles and stimulates circulation. This helps to relieve pain and reduce swelling more quickly. The support also activates sensorimotor processes which improve muscle control. As well as providing passive stabilization for the knee, it therefore provides more active support too. Indications: Mild to moderate instability, Osteoarthritis of the knee, Arthritis (e.g. primary chronic polyarthritis), Meniscus injuries. Size: Circumference Α (12 cm below the knee) 1 (28-31 cm), 2 (31-34 cm), 3 (34-37 cm), 4 (37-40 cm), 5 (40-43 cm), 6 (43-46 cm). Circumference Β (14 cm above the knee) 1 (38-41cm), 2 (41-44 cm), 3 (44-47 cm), 4 (47-50 cm), 5 (50-53 cm), 6 (53-56 cm).